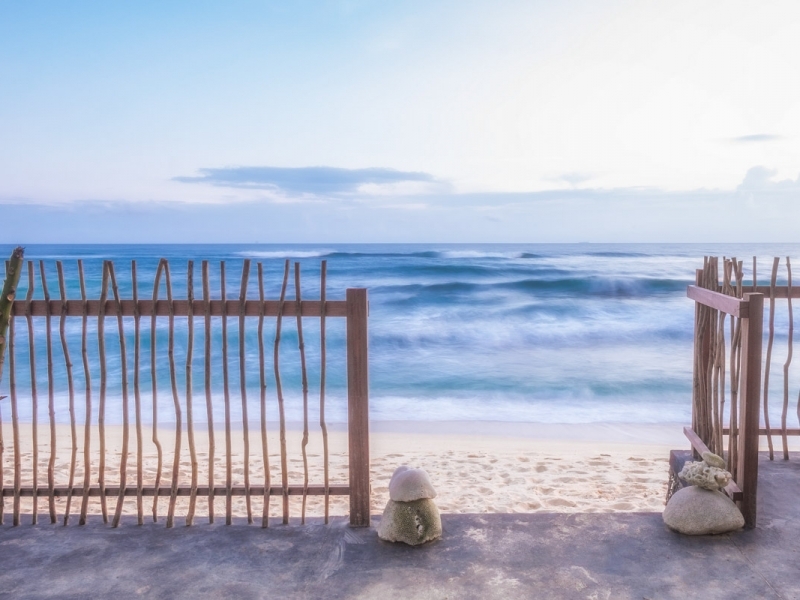 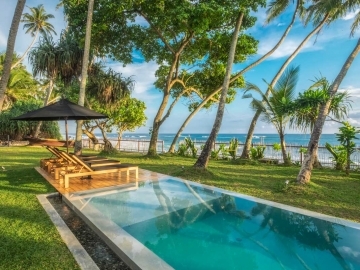 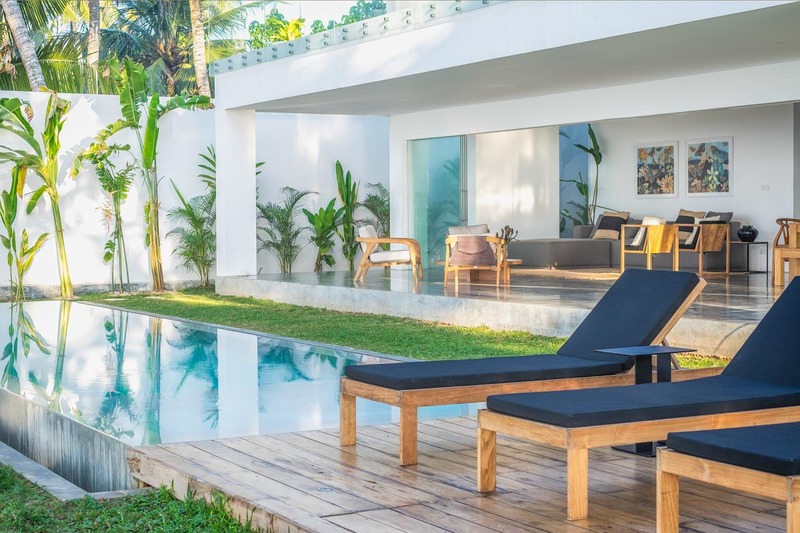 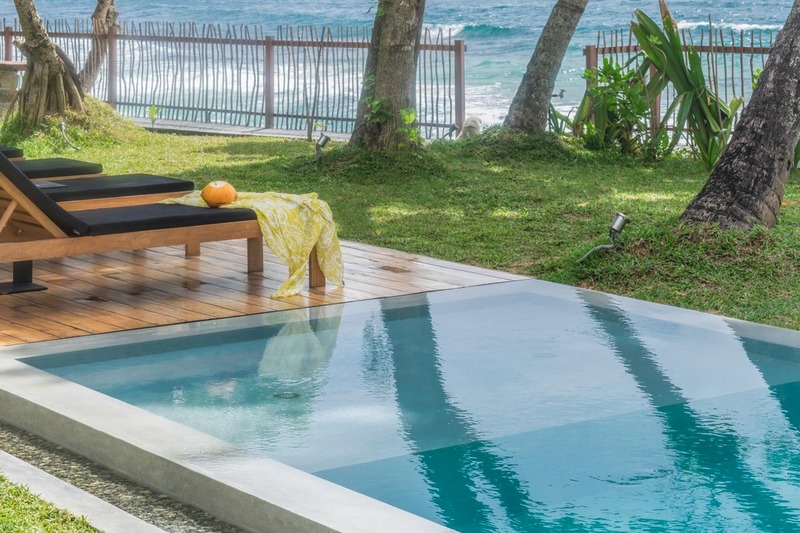 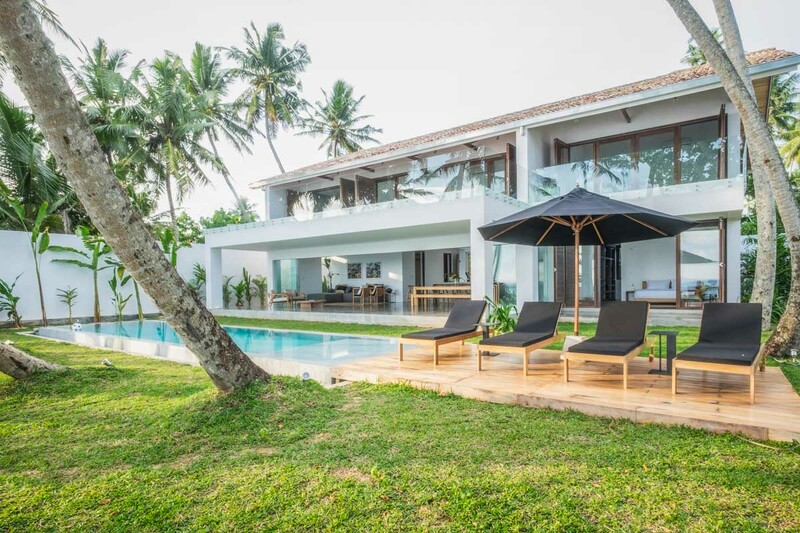 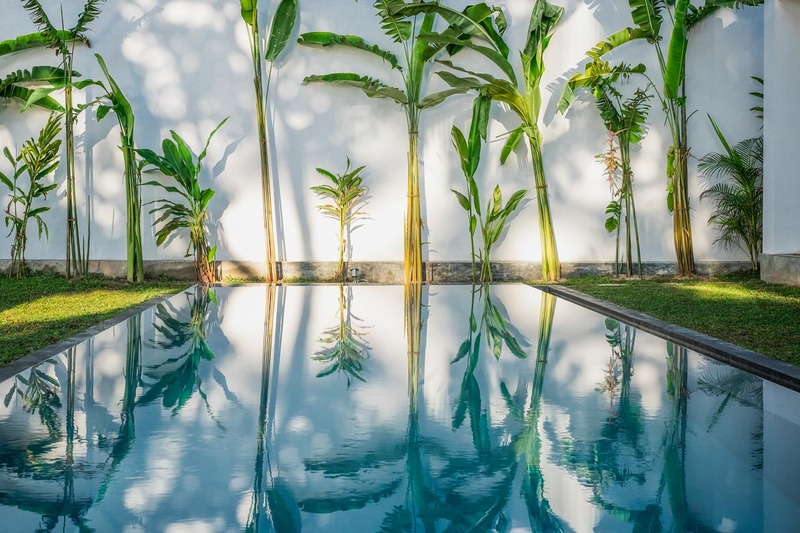 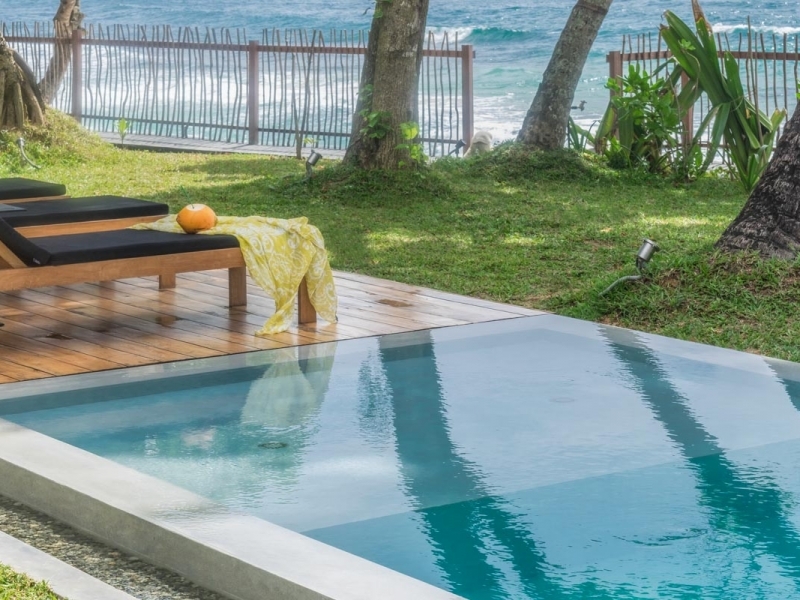 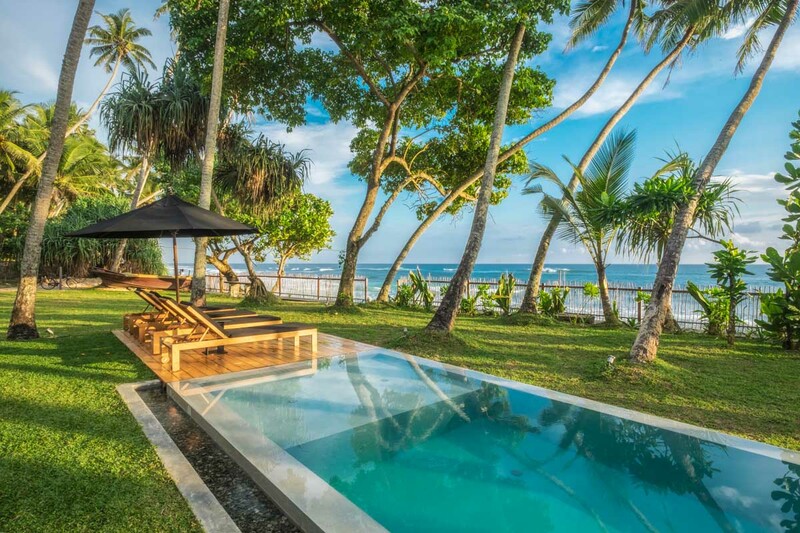 Woolamai Beach House is a four bedroom beachfront property with pool, spectacularly set within half an acre of palm filled tropical gardens in Thalpe – one of southern Sri Lanka’s most secluded and stunning stretches of coastline. 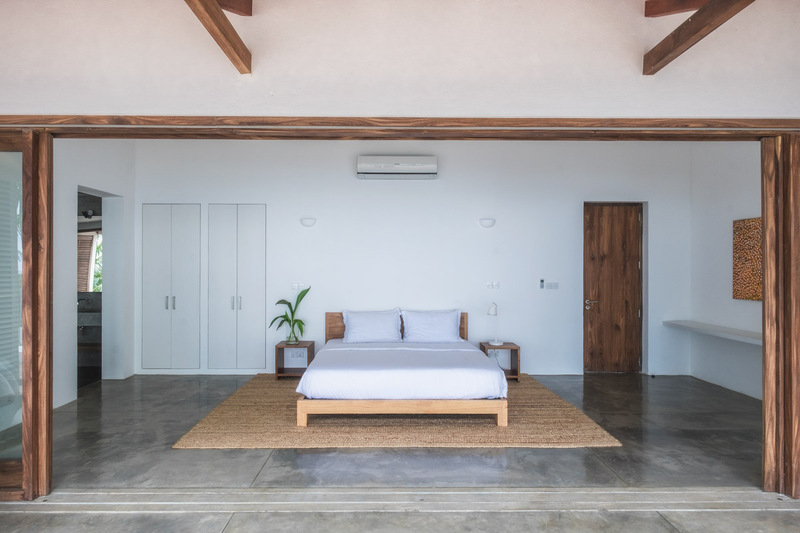 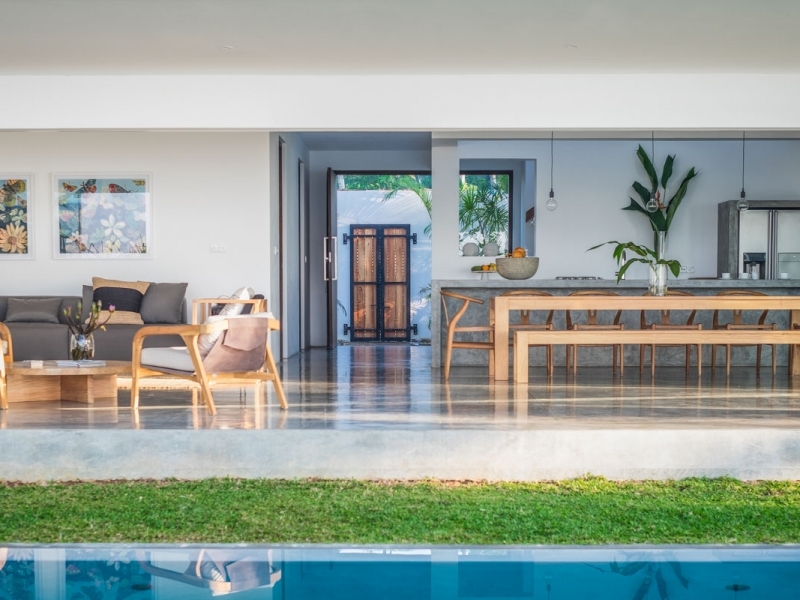 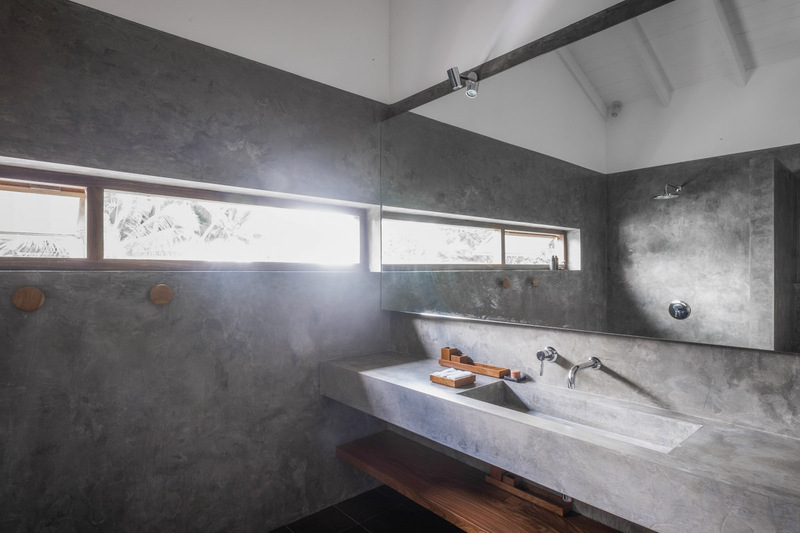 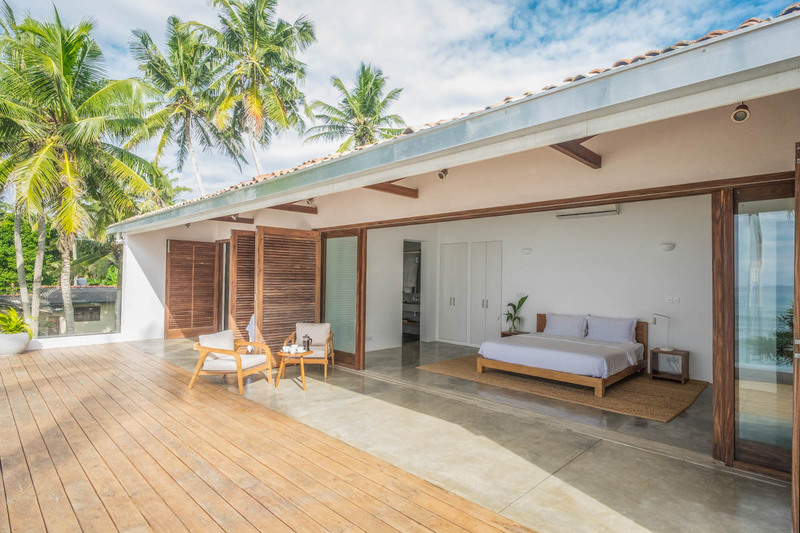 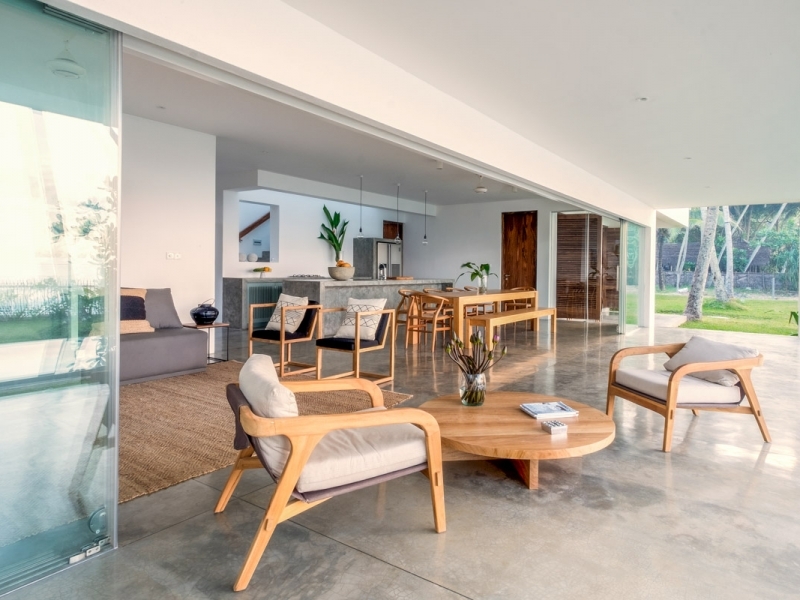 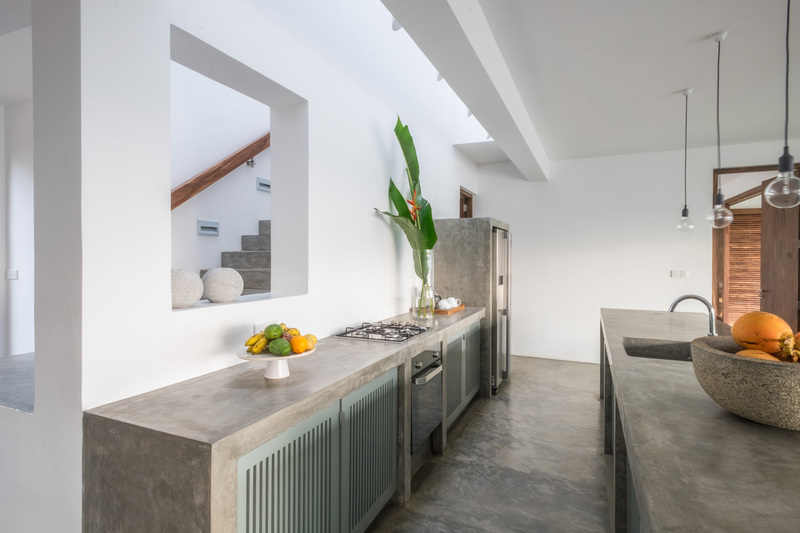 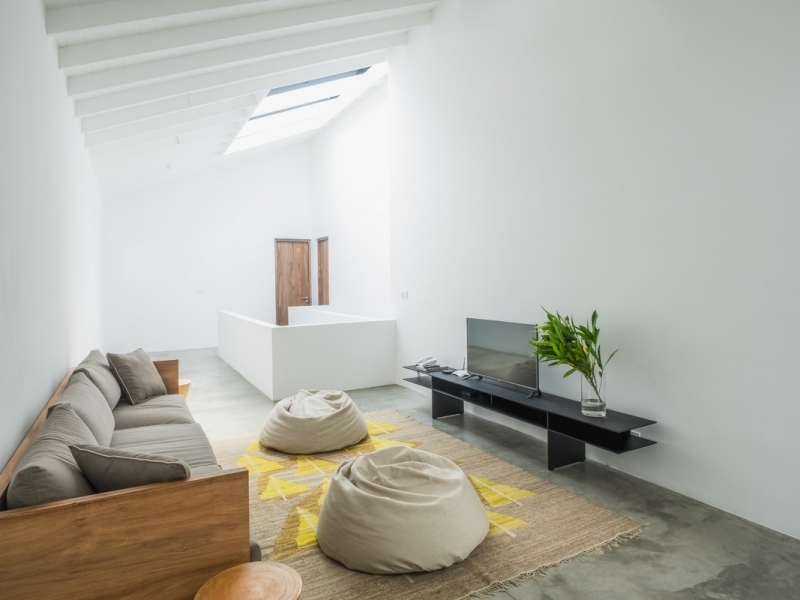 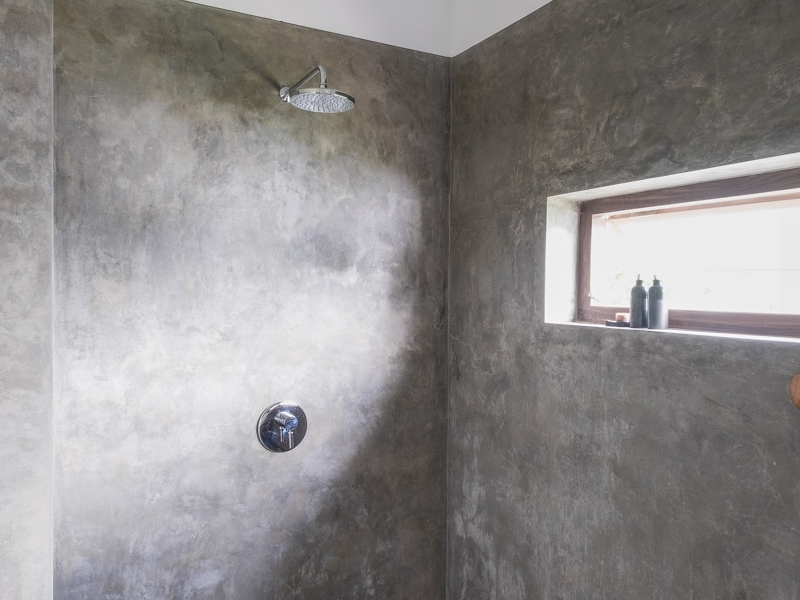 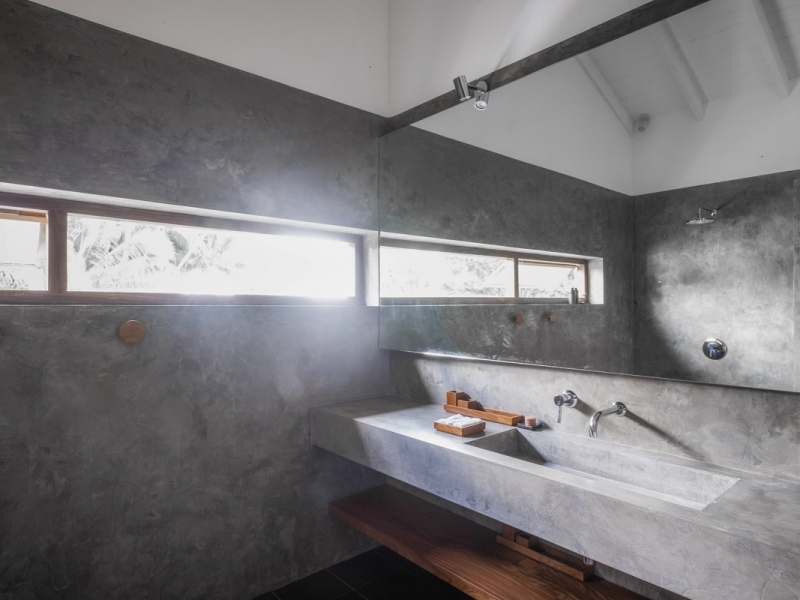 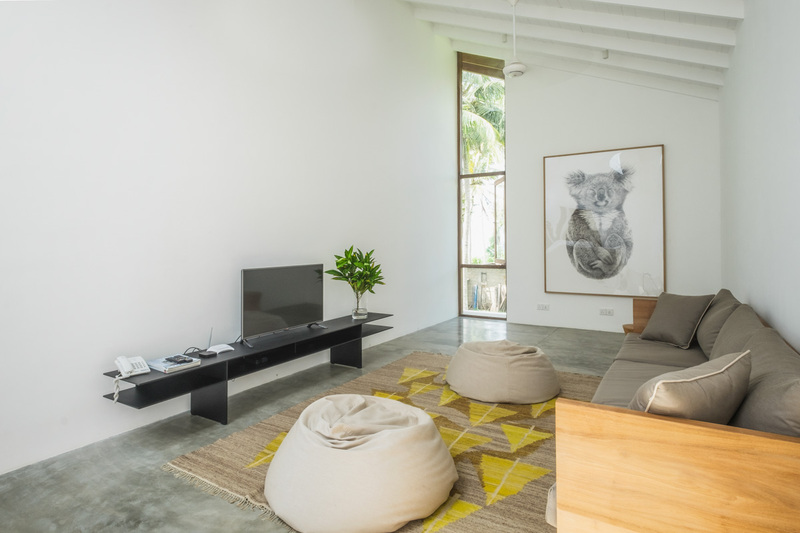 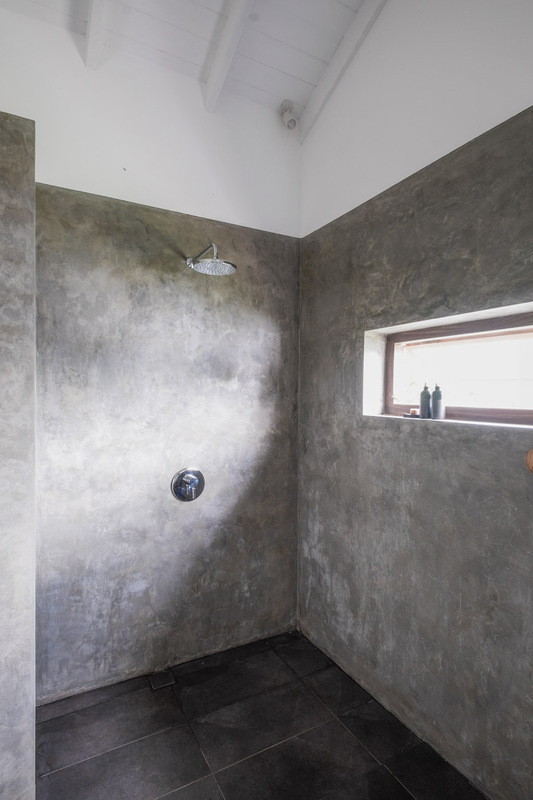 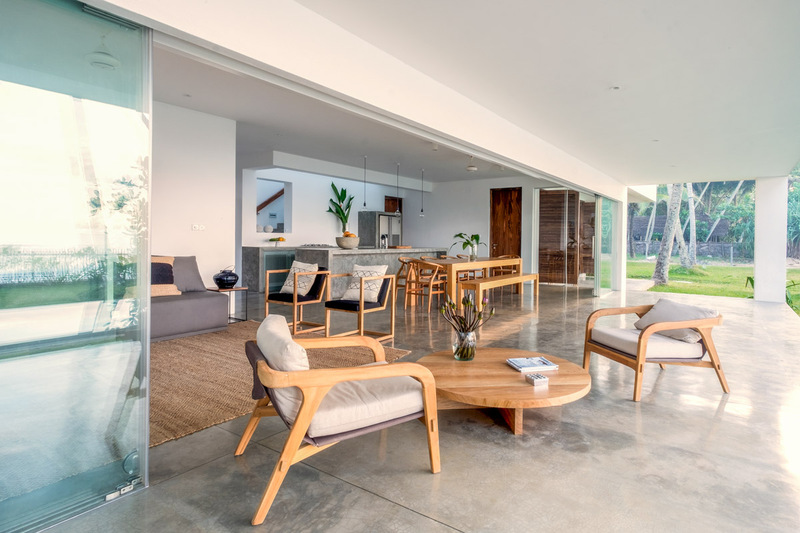 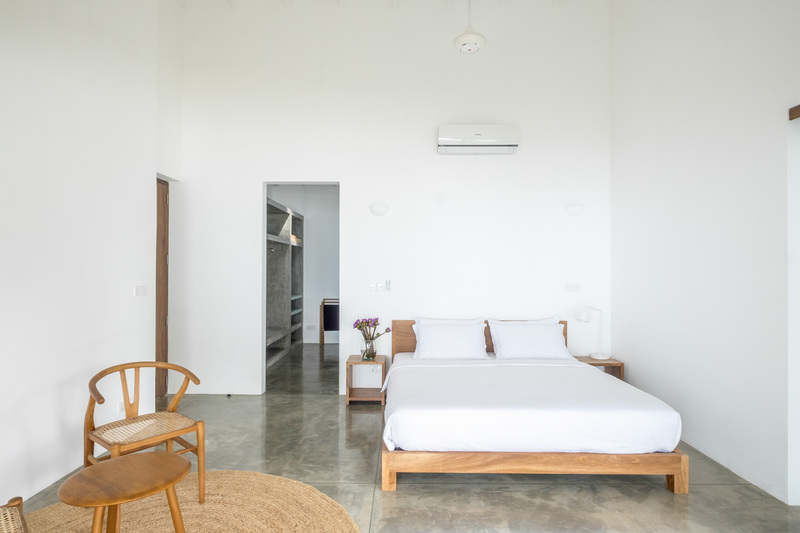 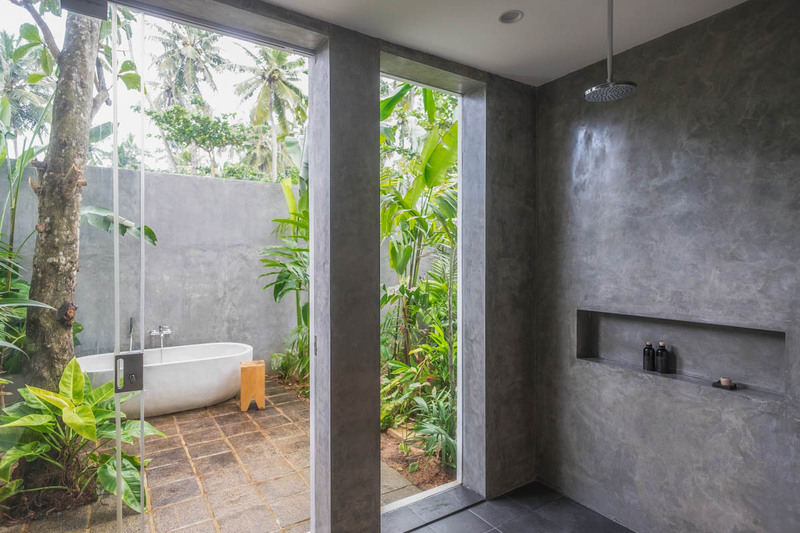 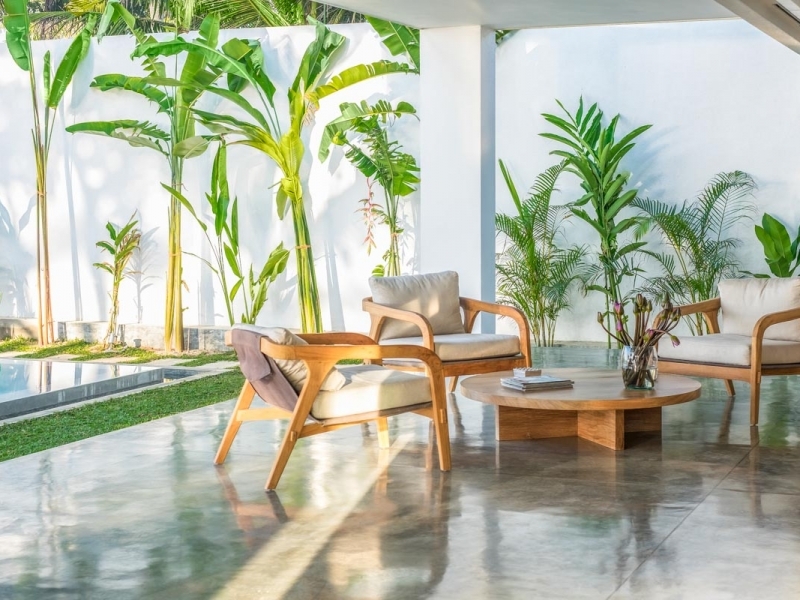 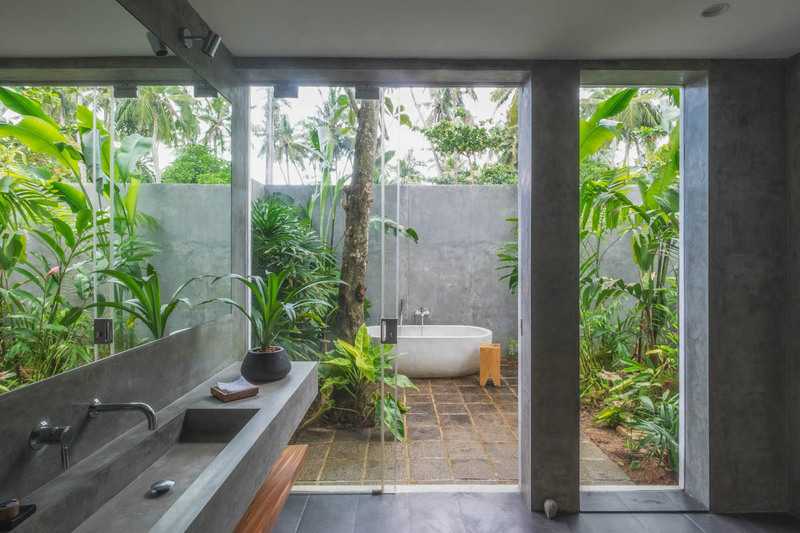 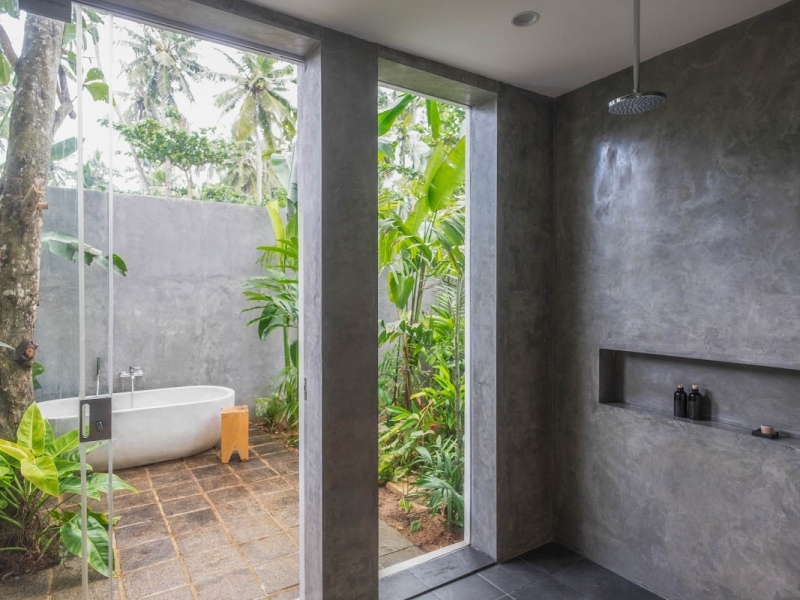 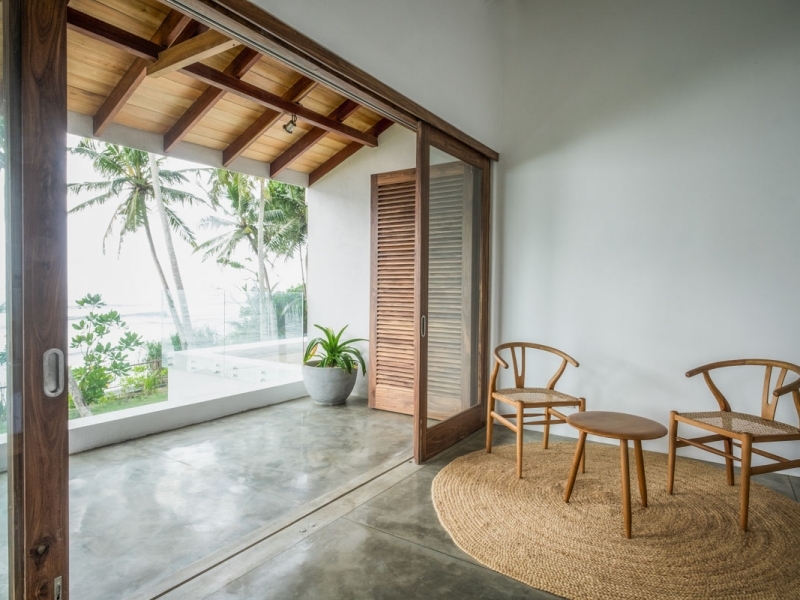 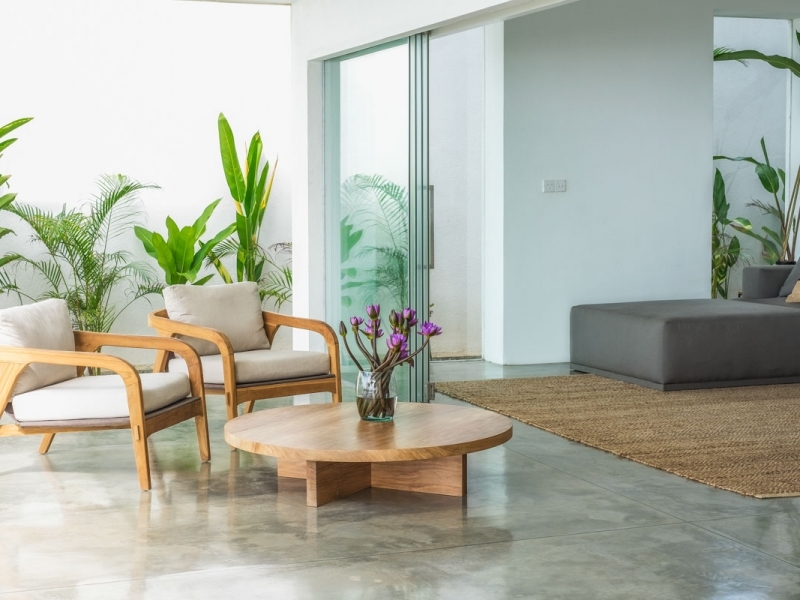 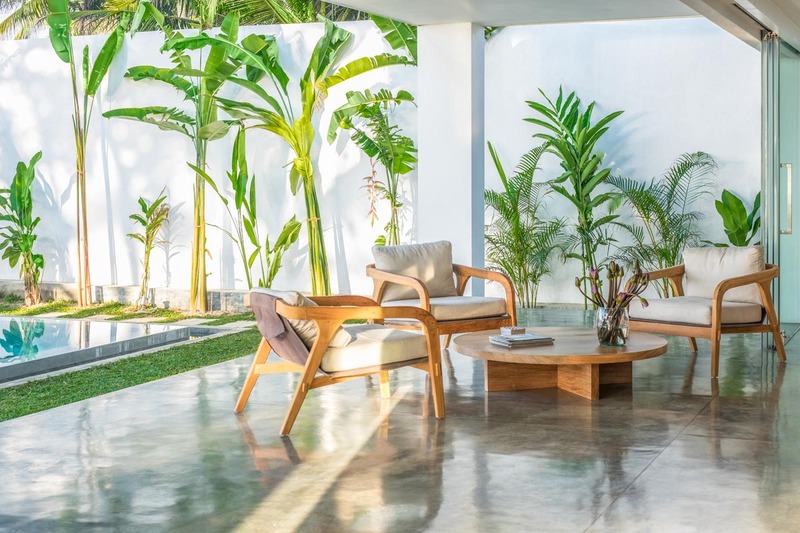 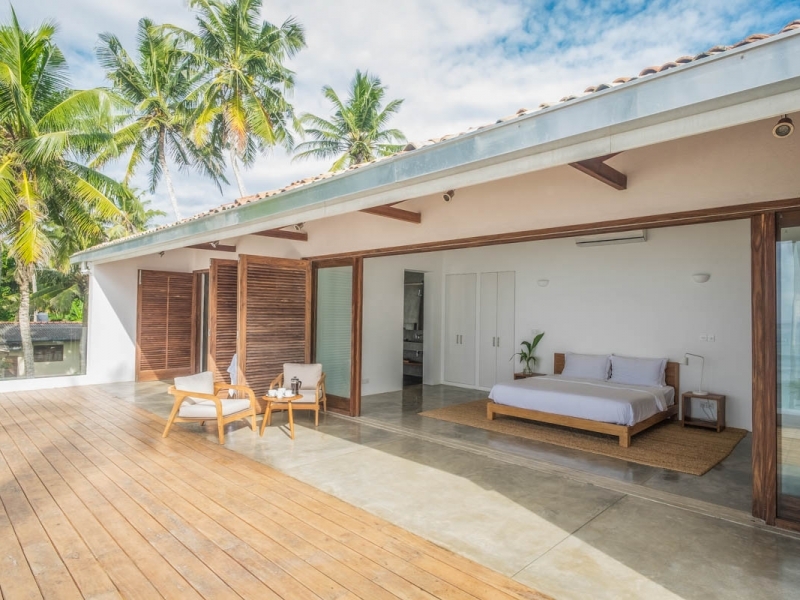 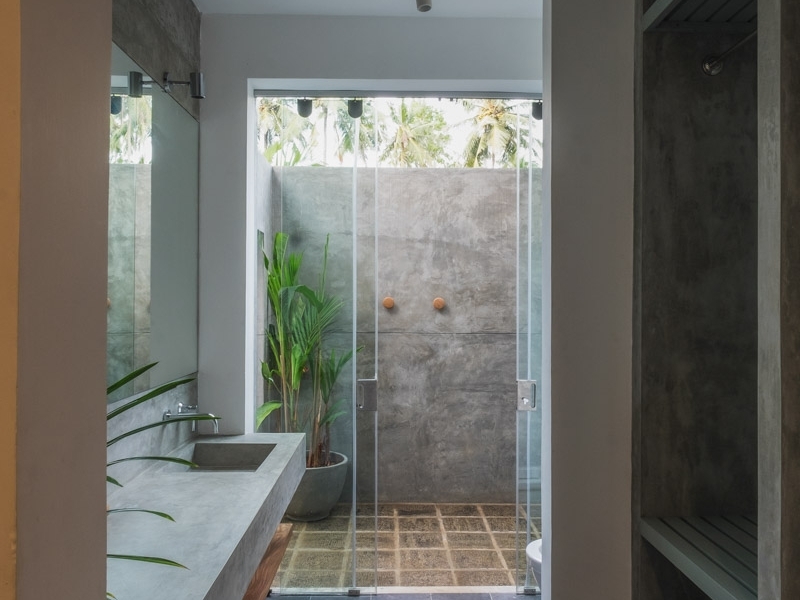 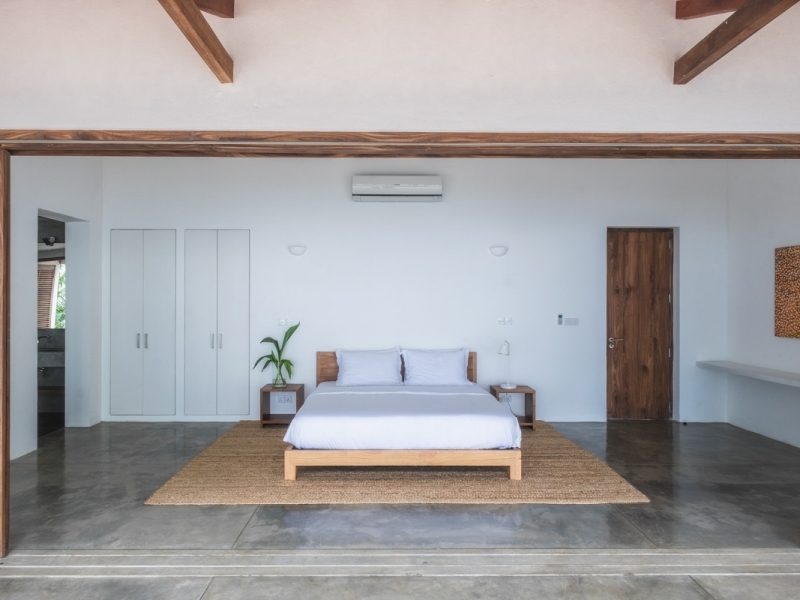 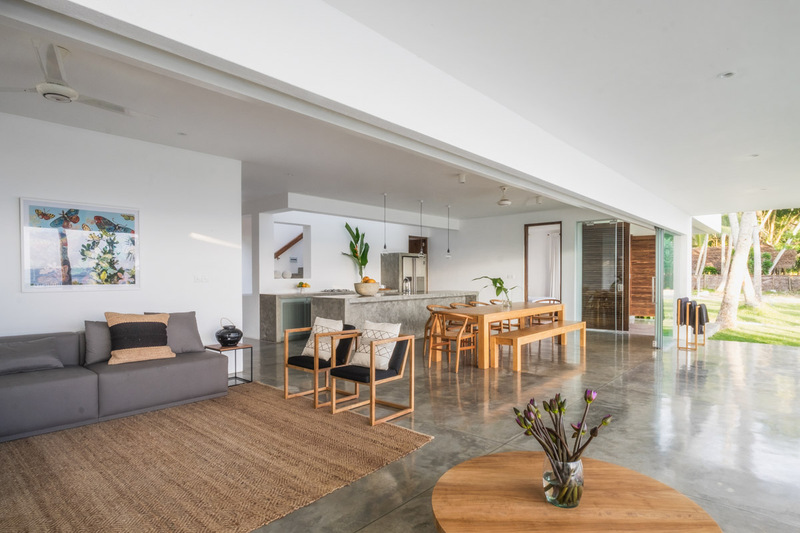 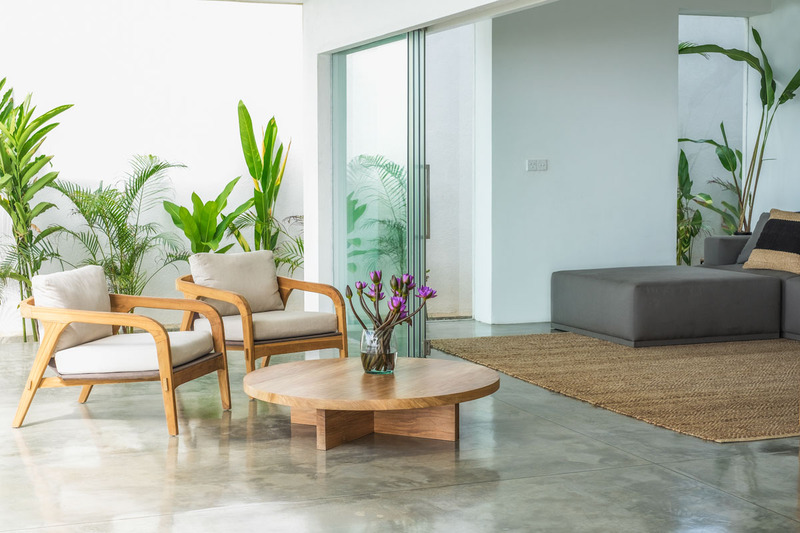 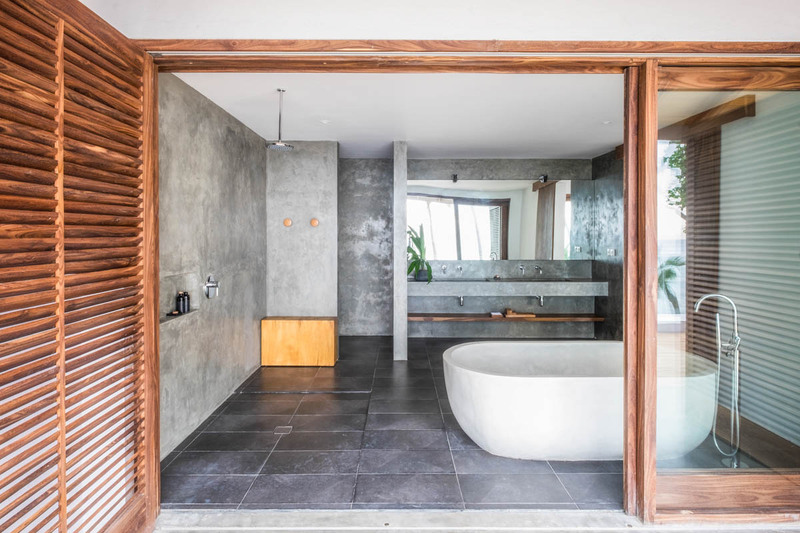 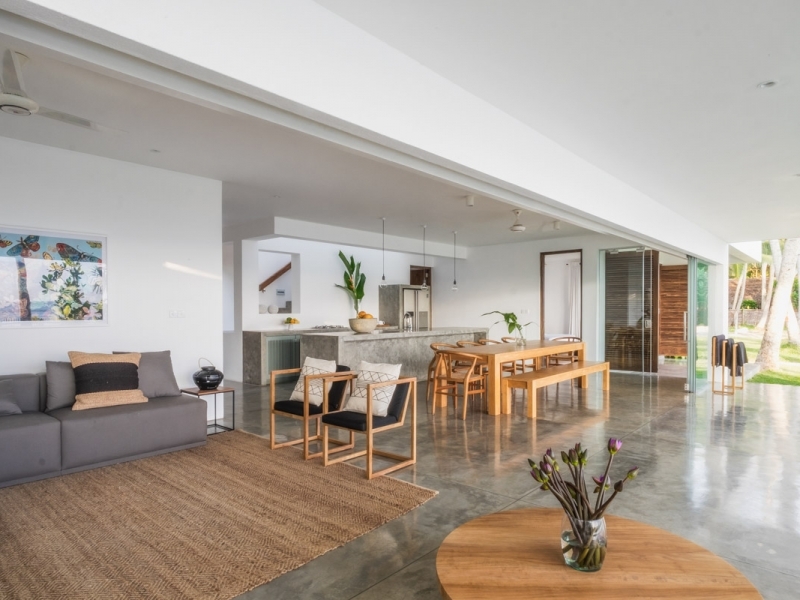 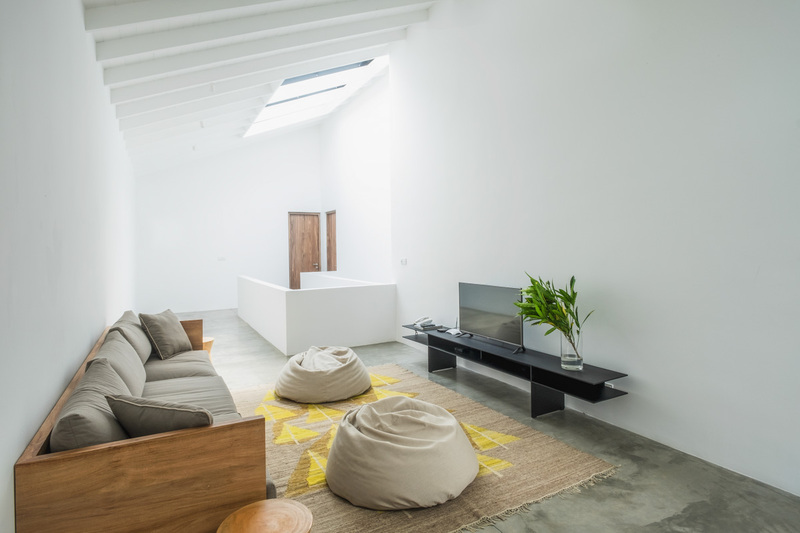 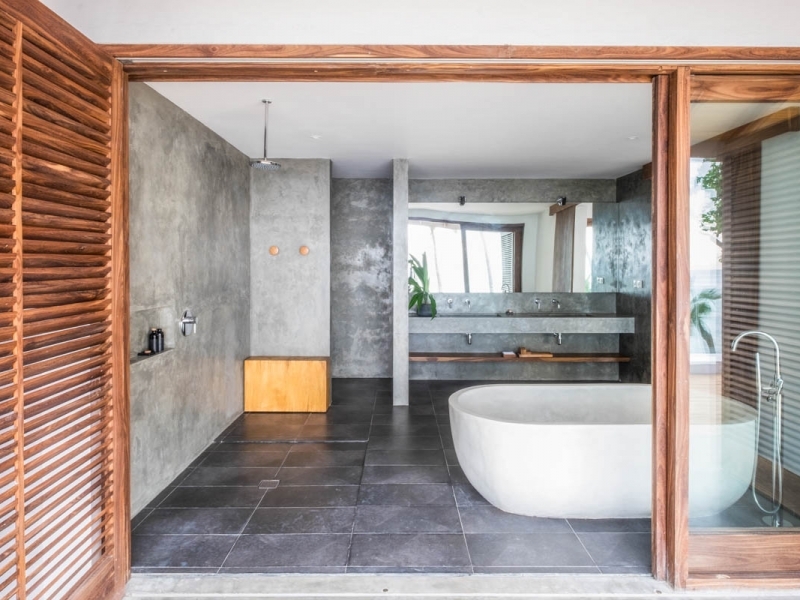 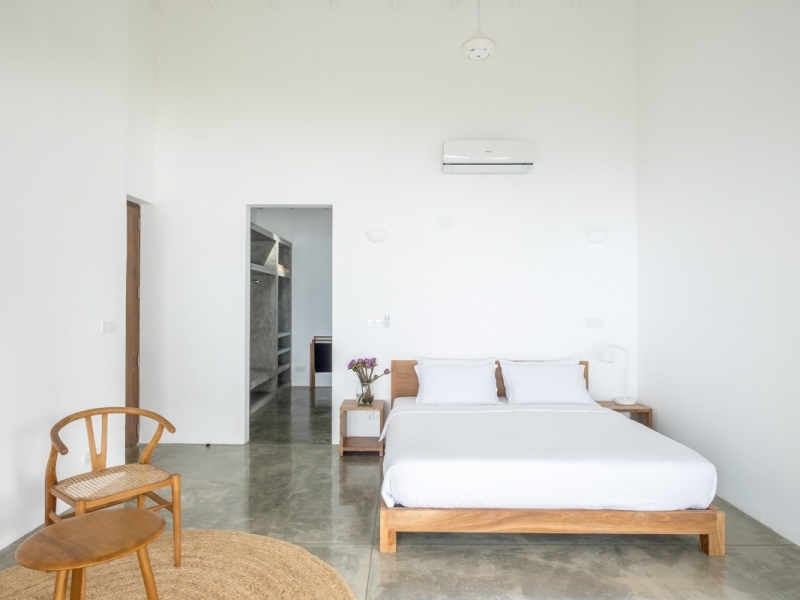 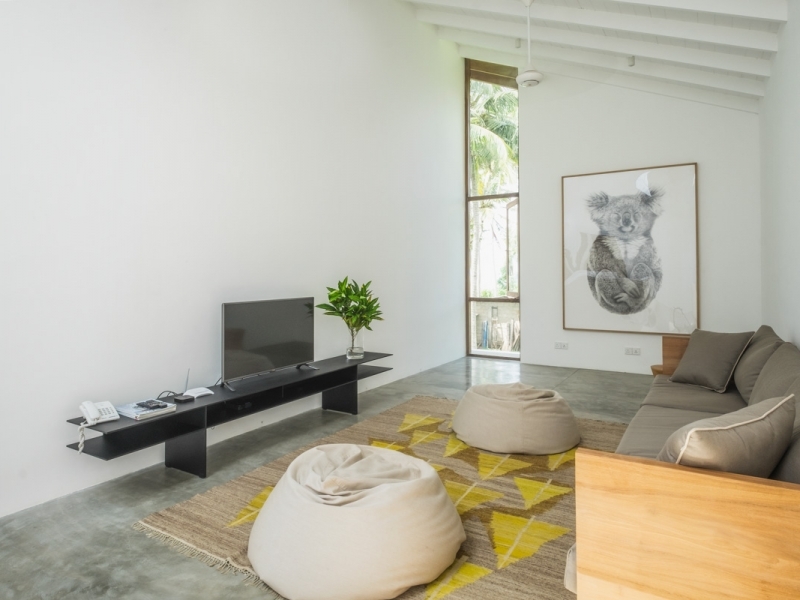 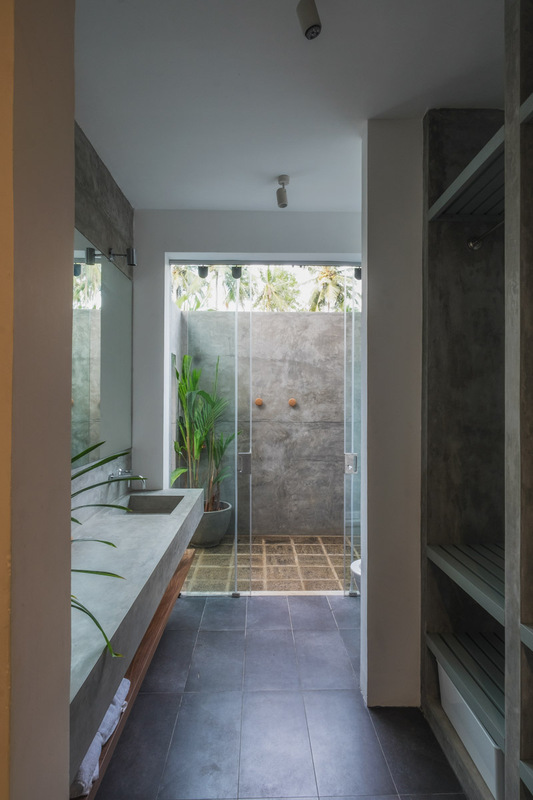 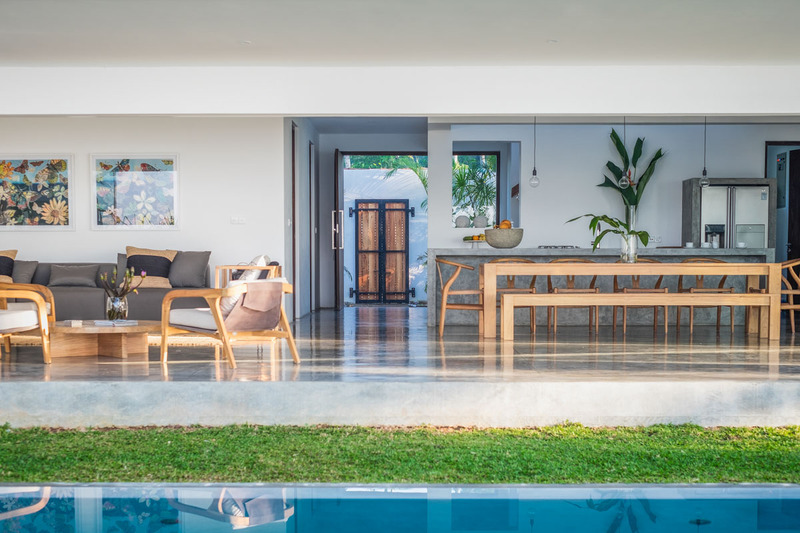 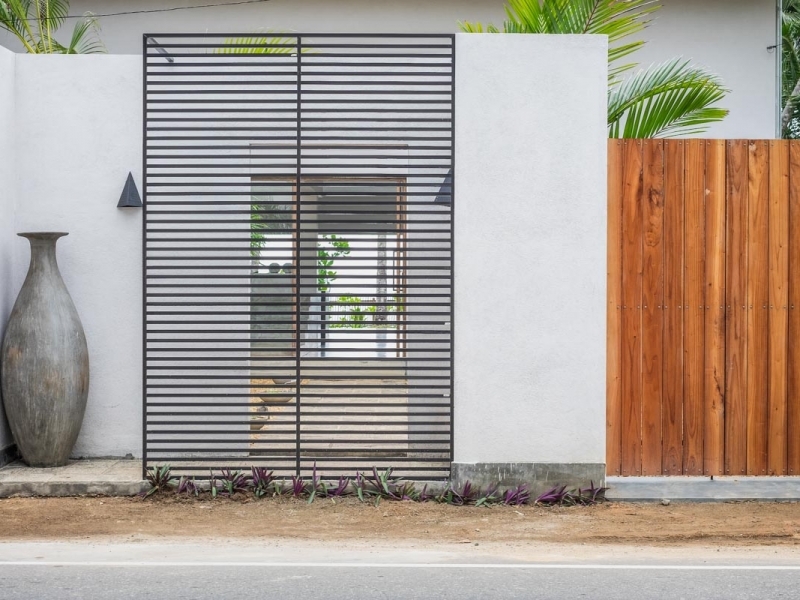 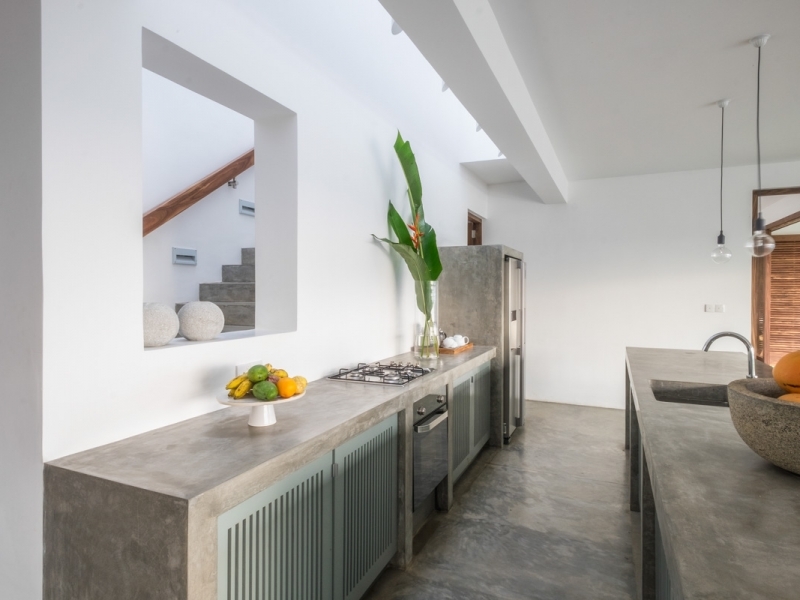 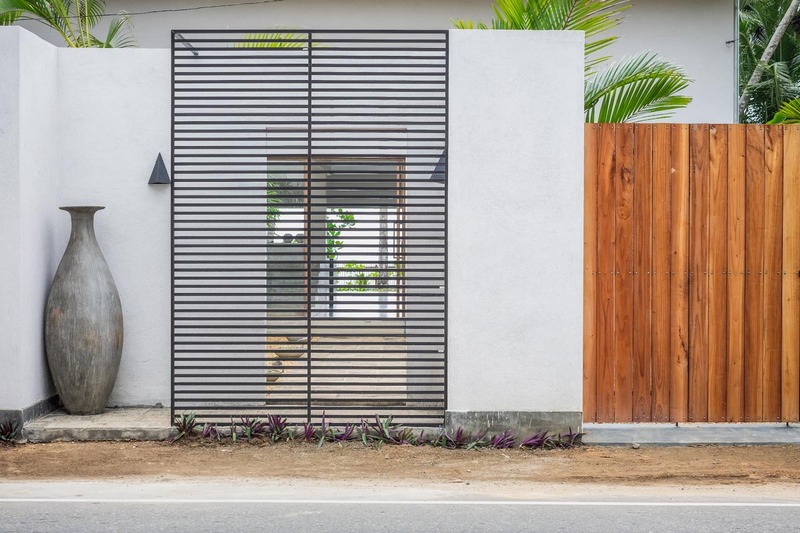 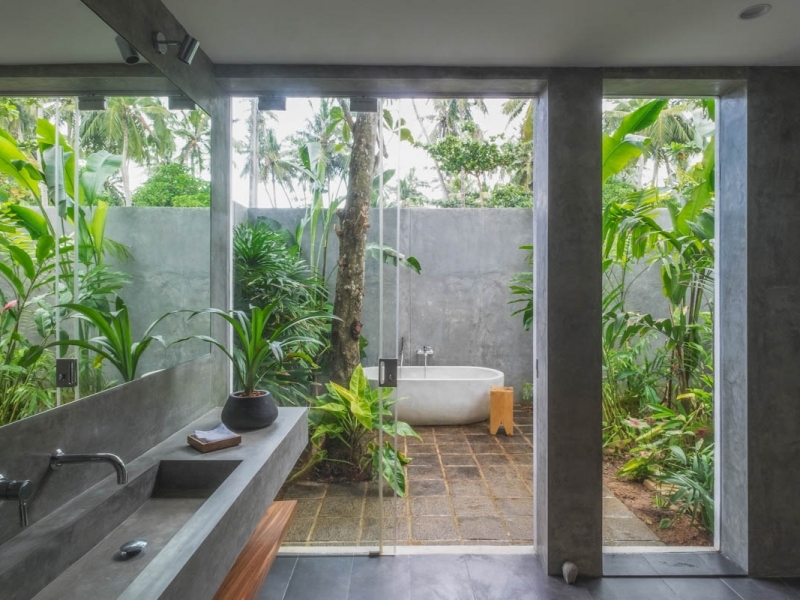 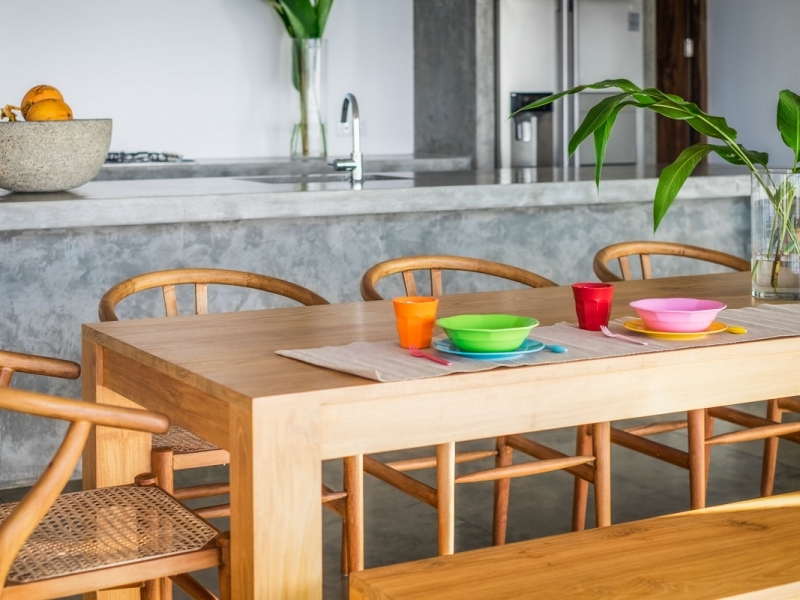 The house is designed in a simple but beautiful style with concrete floors, white walls and louvered doors opening to tropical sunsets, ocean breezes and blindingly beautiful Indian Ocean views. 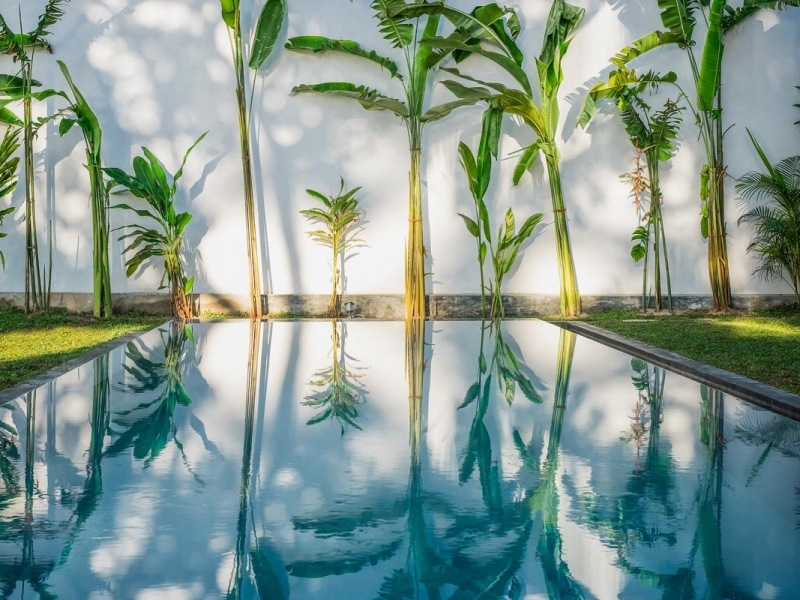 An infinity edged pool, shaded by coconut palms, stretches the length of the house and is overlooked by a stunning open living area. 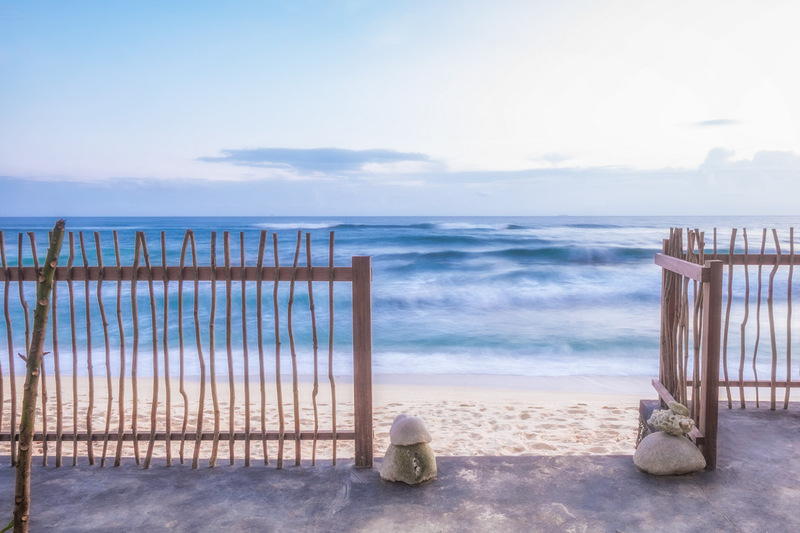 An outdoor dining area perched above the beach provides the perfect aspect for sunset cocktails and spotting sea turtles in the rolling Indian Ocean surf. 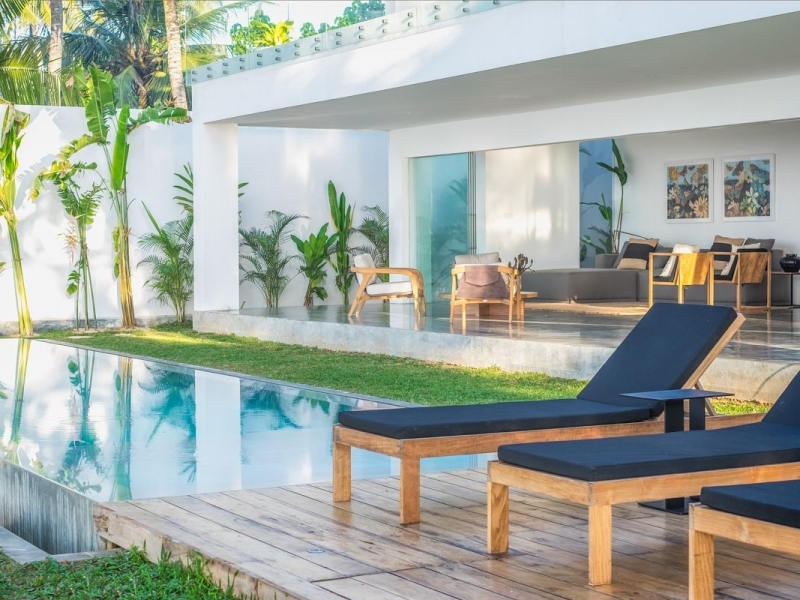 The house is set over 2 levels and comprises 3 king bedrooms and a double bunk bedroom sleeping 4 (all with ensuite bathrooms), an open living area, TV lounge, outdoor deck areas, indoor and outdoor dining areas, pool and expansive gardens. 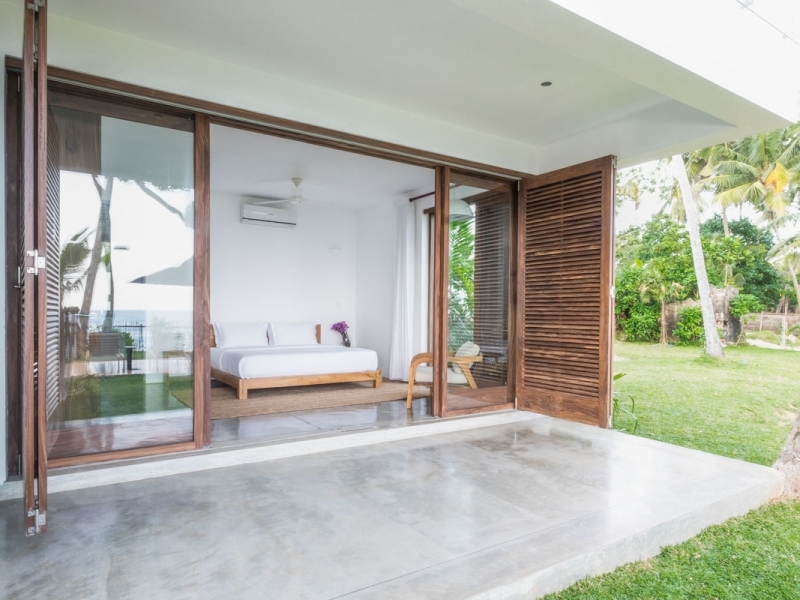 The bedrooms of the house are airconditioned, with living areas well ventilated by fans and the sea breeze. 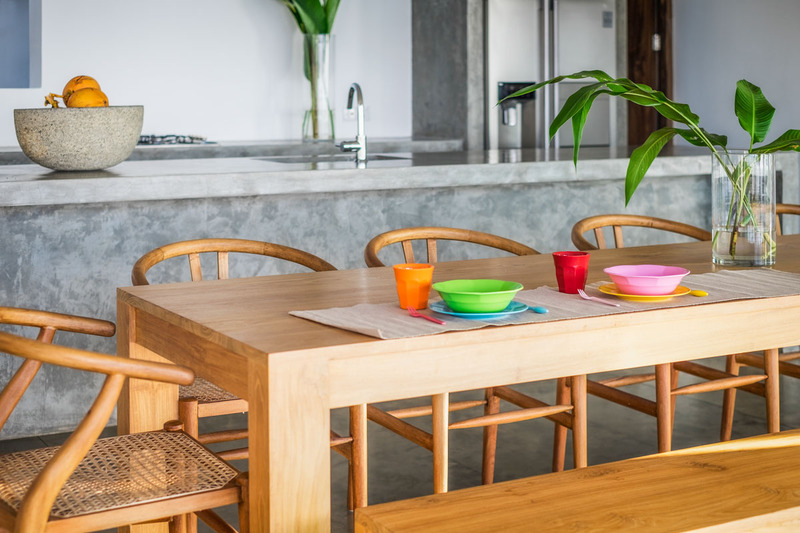 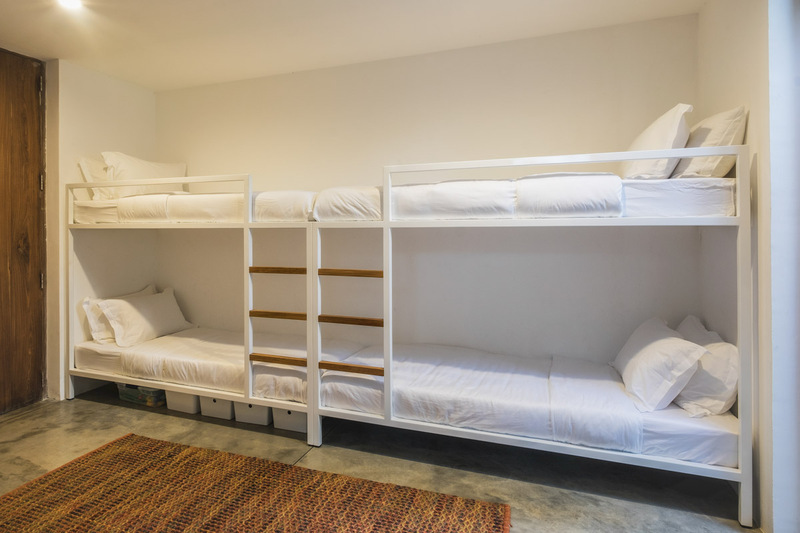 The house has Wi Fi throughout, cable TV and cooking facilities and is well equipped for families – stocked with kids toys, games, beach gear and pool toys. 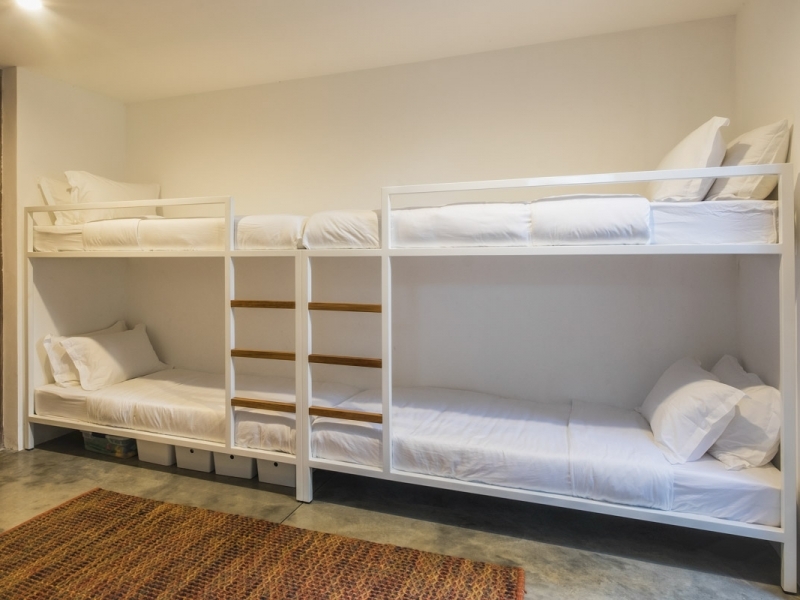 Cots, high chairs and other gear for babies and toddlers can be arranged upon request. 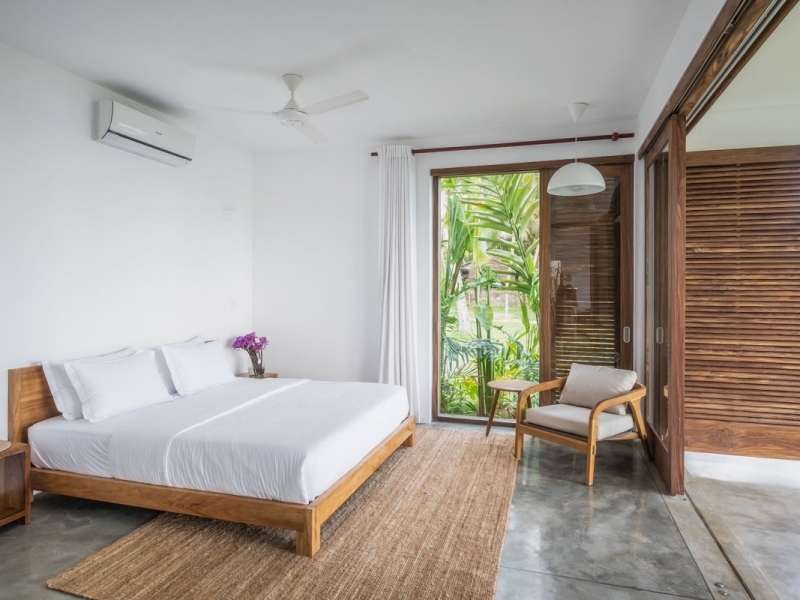 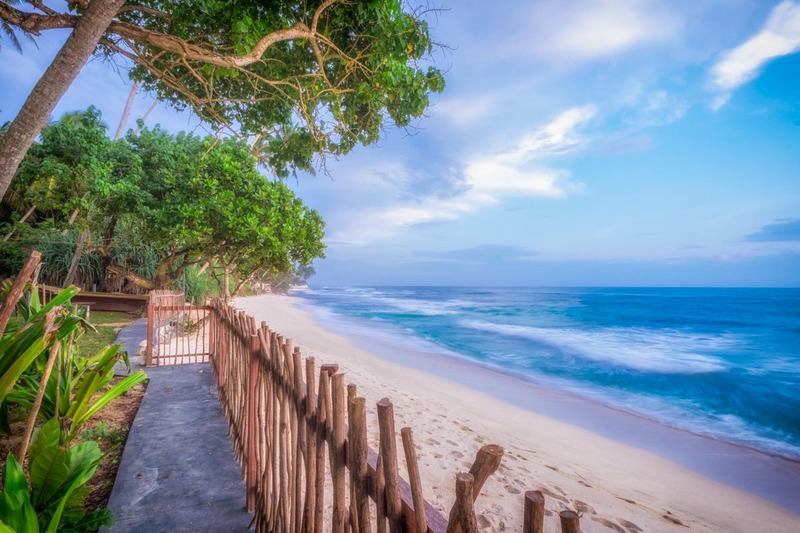 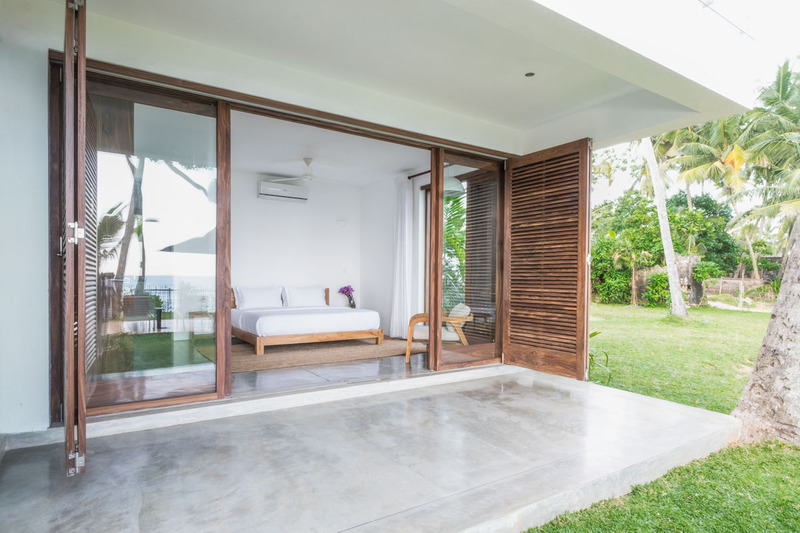 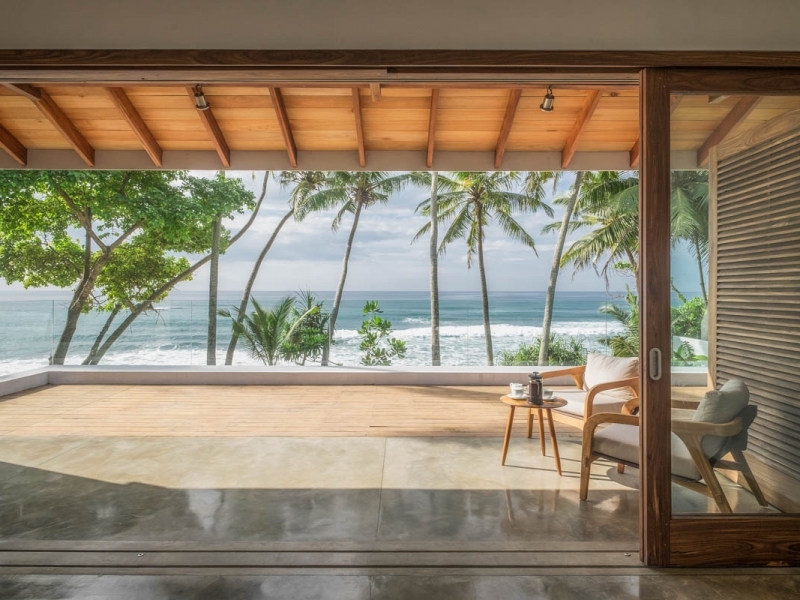 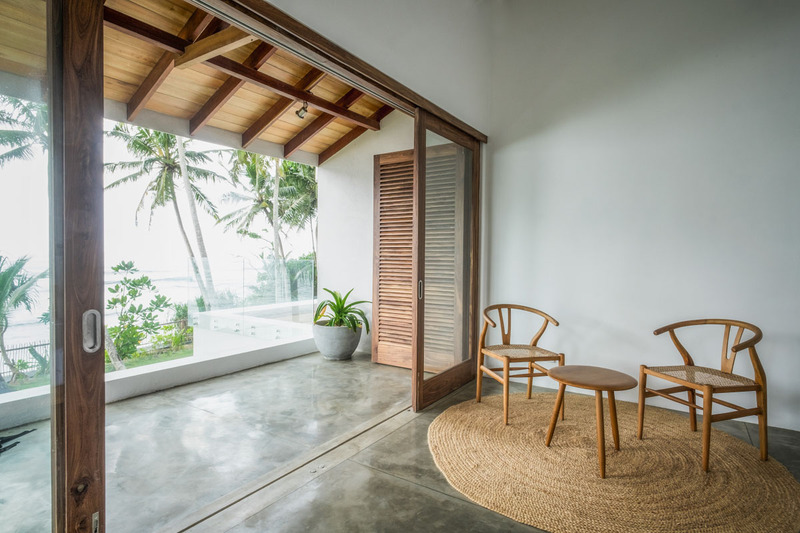 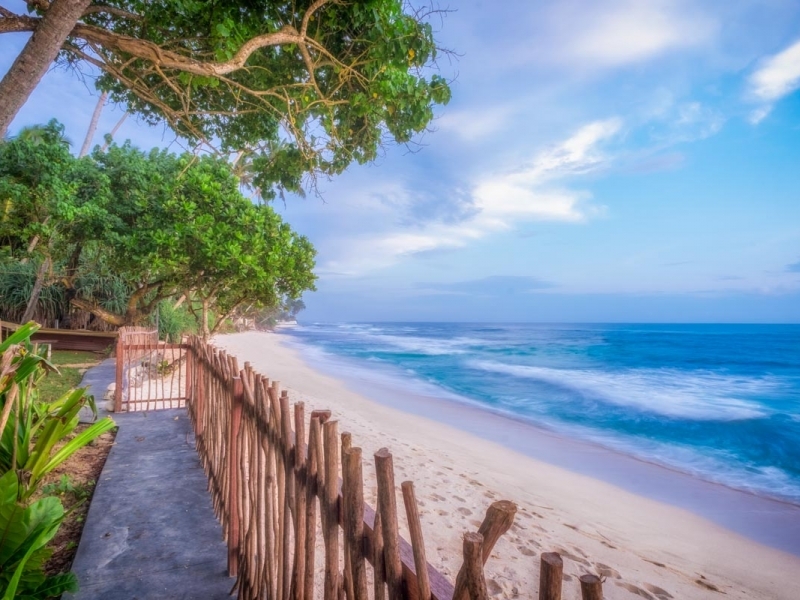 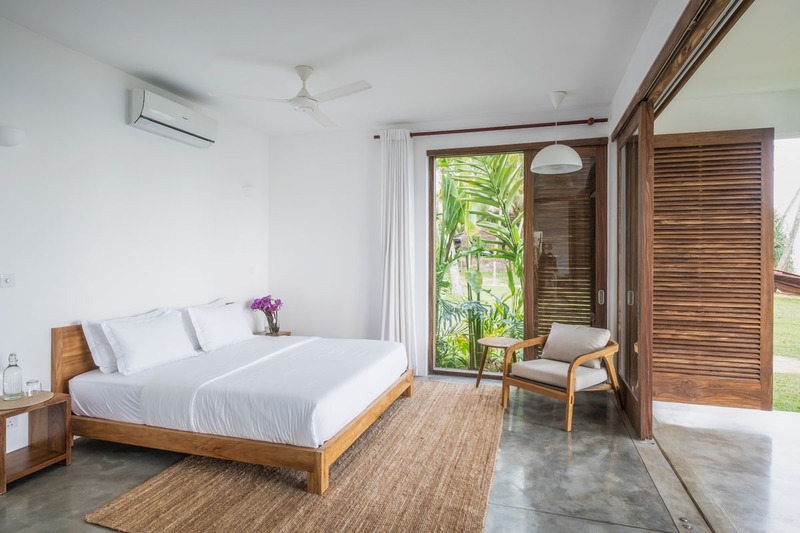 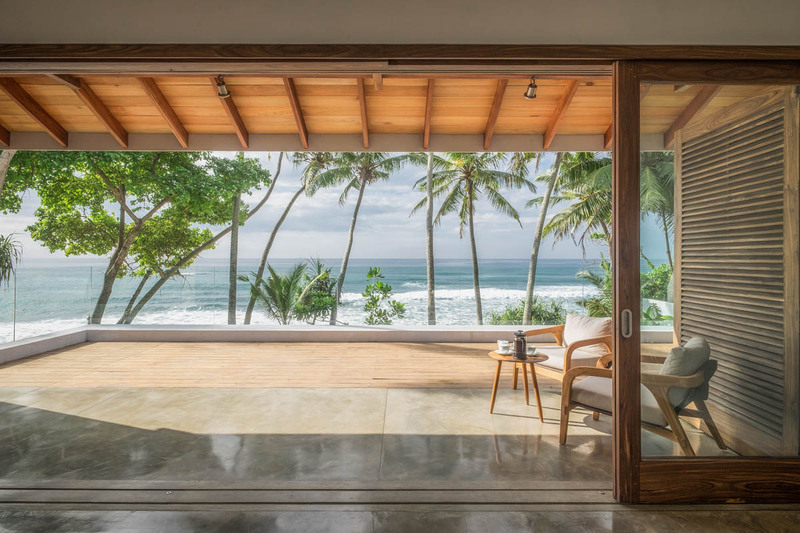 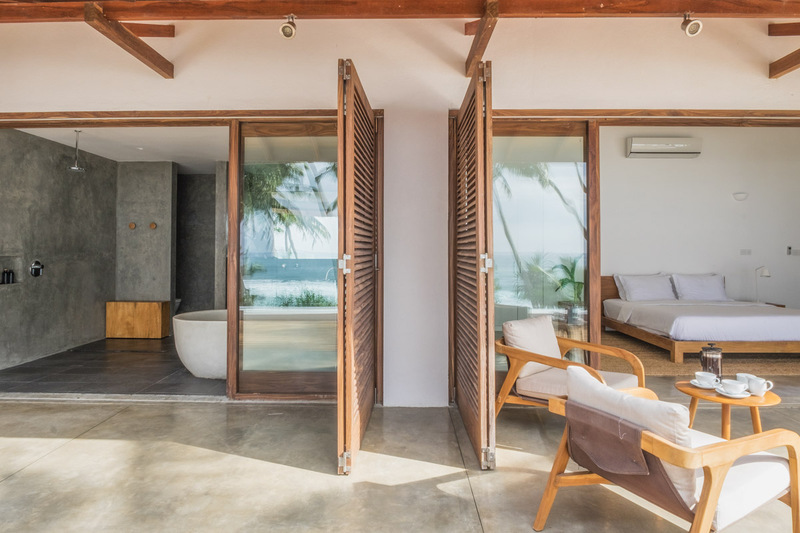 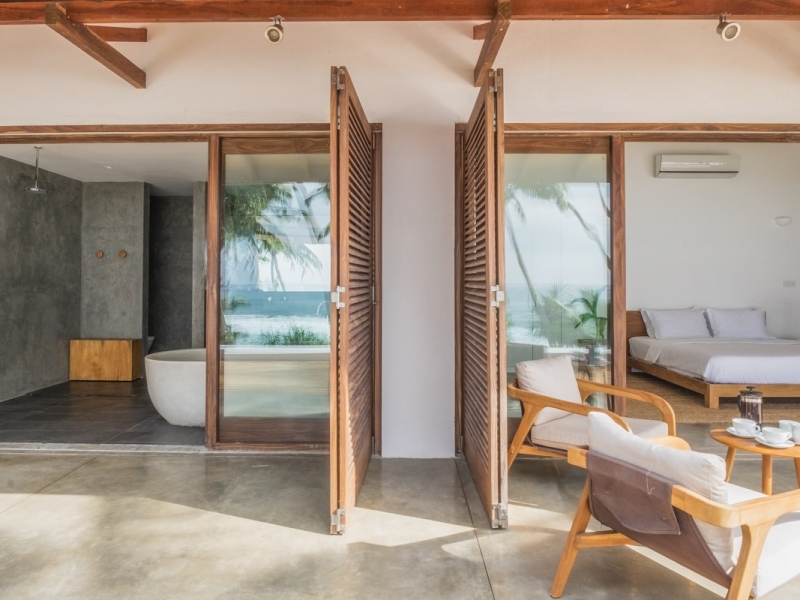 Woolamai Beach House is located in Thalpe (also known as Talpe), a secluded and stunning stretch of coastline in southern Sri Lanka. 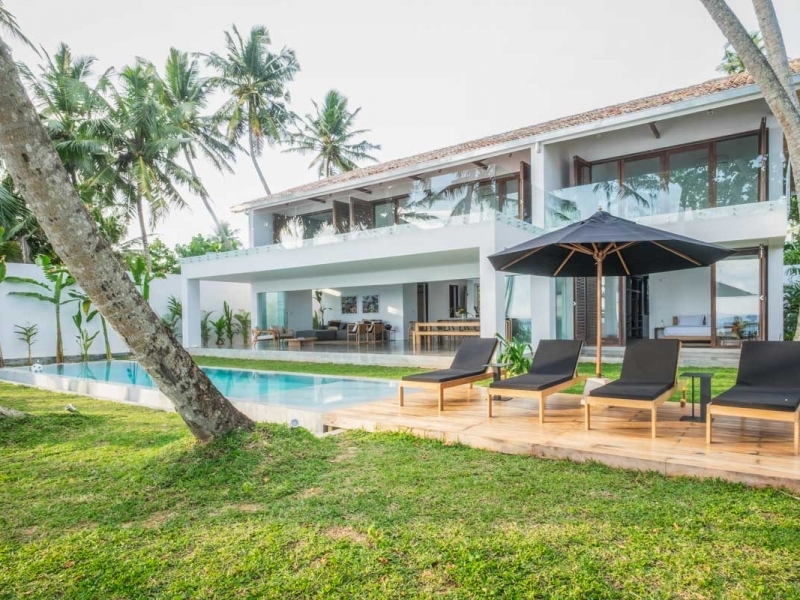 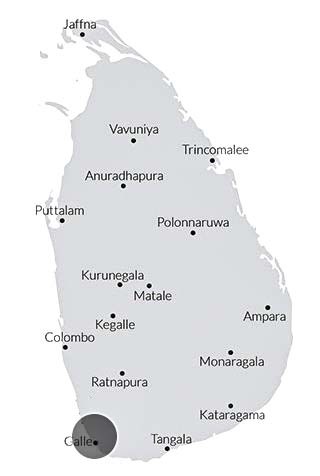 It is only fifteen minutes from the UNESCO world heritage listed Galle Fort and a two hour drive from Colombo Bandaranaike International Airport.